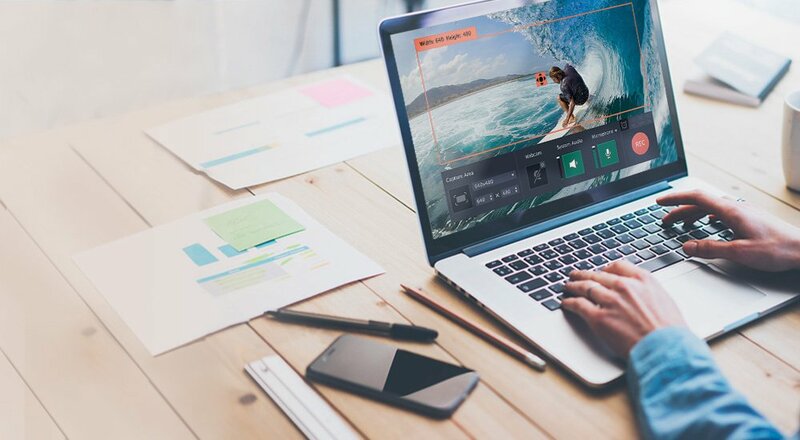 Movavi Screen Recorder lets you grab any screen video from your Mac with a single button click. 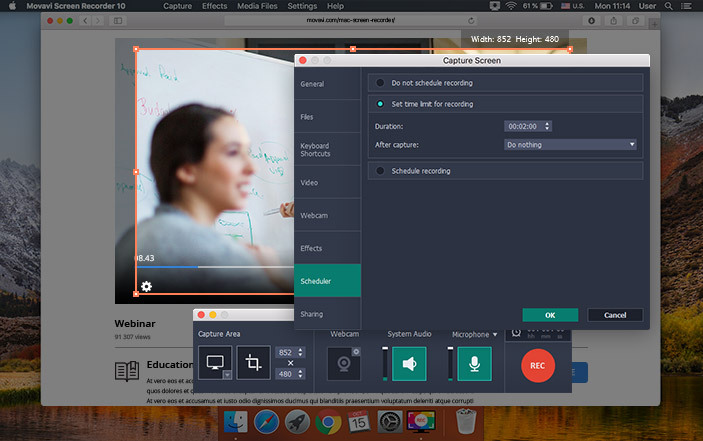 Capture webinars, live streams, speed painting, Skype chats, and anything else you like. Create GIFs from movie scenes and share them with others. Start making screen videos. It’s easy. It’s fun. 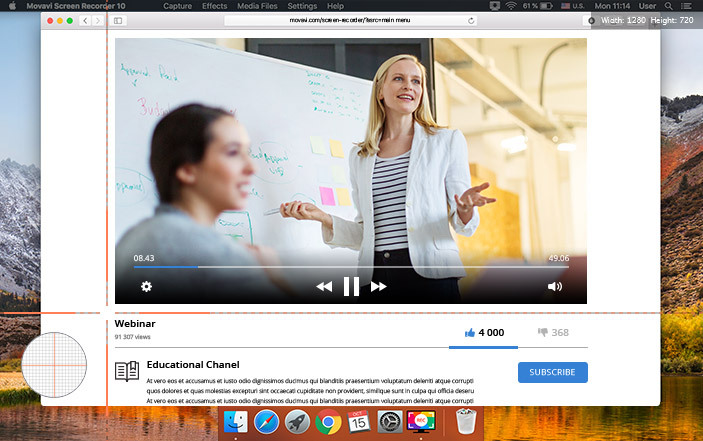 You don’t need hardware devices for video capture on Mac - just our OS X screen recorder. Skype calls, app tutorials, speed painting, gaming, usability tests – our screen recording software for Mac is good for any occasion. 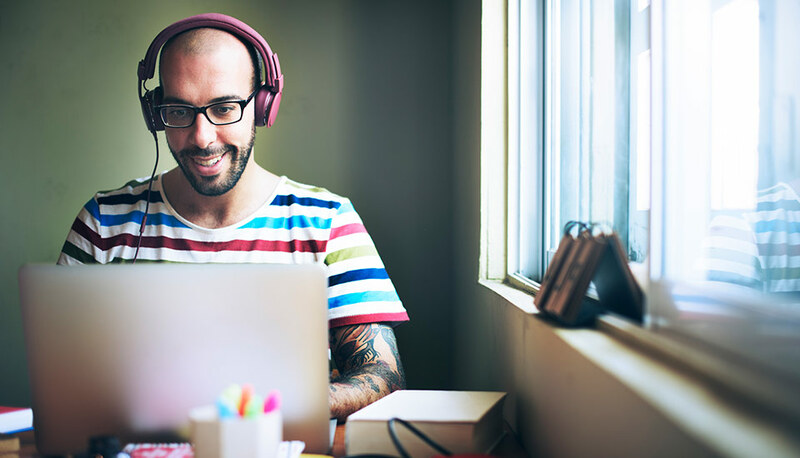 Get full coverage of your screen: record desktop video, system audio, webcam, and microphone simultaneously. Captured footage will look perfect – record in Full HD at 60 frames per second. Our video recording software for Mac is so simple to use that you can use it at any skill level, even if you’re a zero beginner with a little free time on your hands. 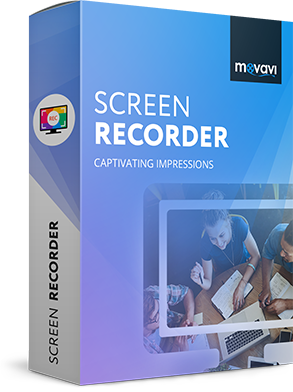 Movavi Screen Recorder for Mac is compatible with OS X 10.7 or higher and any MacBook model including Air and Pro. Download a free trial version of our screen recording app today. 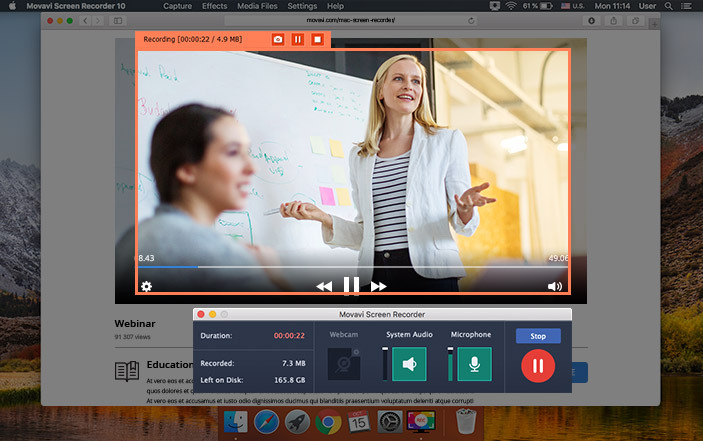 Disclaimer: Please be aware that Movavi Screen Recorder for Mac does not allow capture of copy-protected video and audio streams.